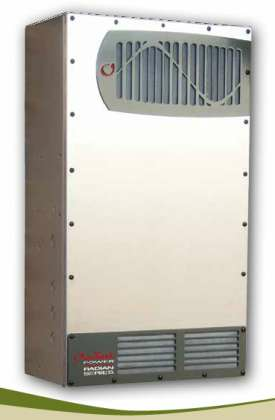 GS8048A Radian Power Plant | OutBack | Inverter Grid-Tie | DNM Solar Solutions Inc.
8kW grid-interactive inverter/charger with dual AC input/outputs and battery control. Can be used for off-grid, backup power systems, and net-metering solutions. Radians can be ganged in groups up to 10, providing up to 80kW of power.